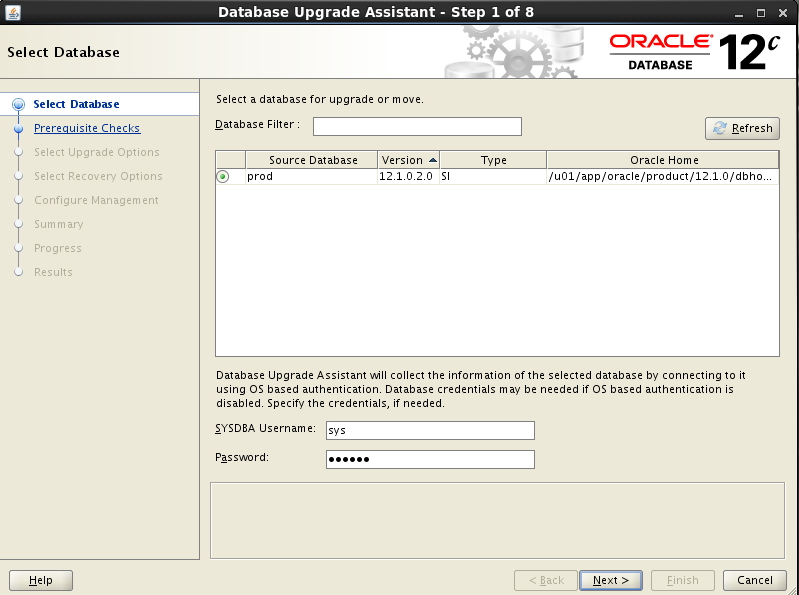 Oracle 12c Release 2 (12.2.0.1) was officially released for on-premise deployment yesterday. 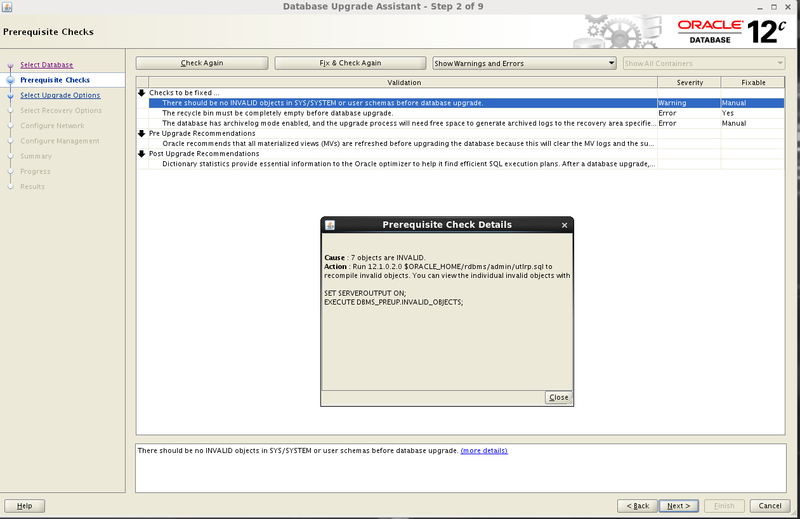 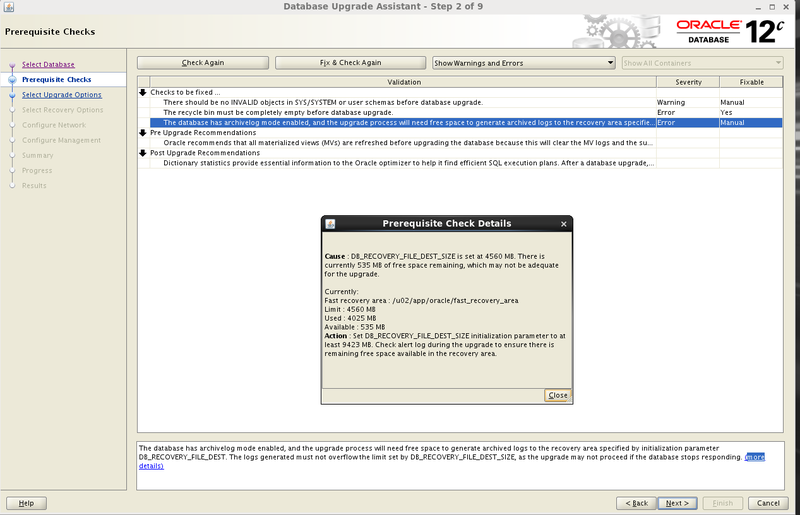 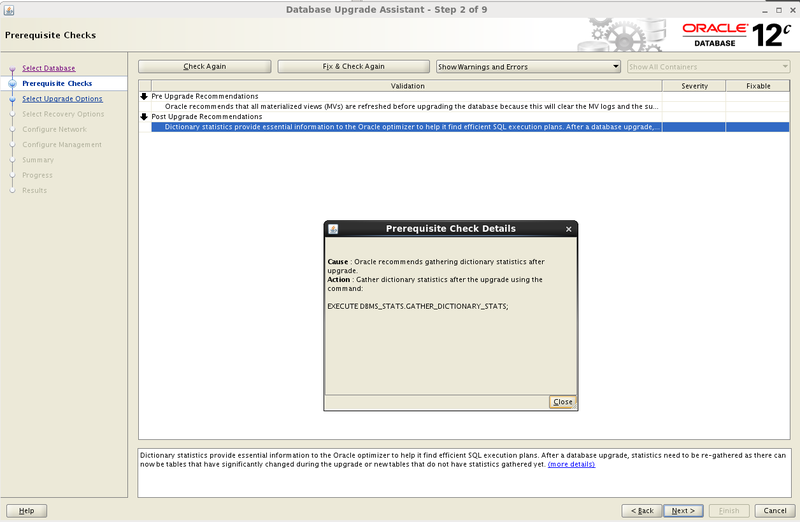 I tested an upgrade of one of my test 12.1.0.2 databases using the Database Upgrade Assistant (DBUA) and the upgrade went smoothly. 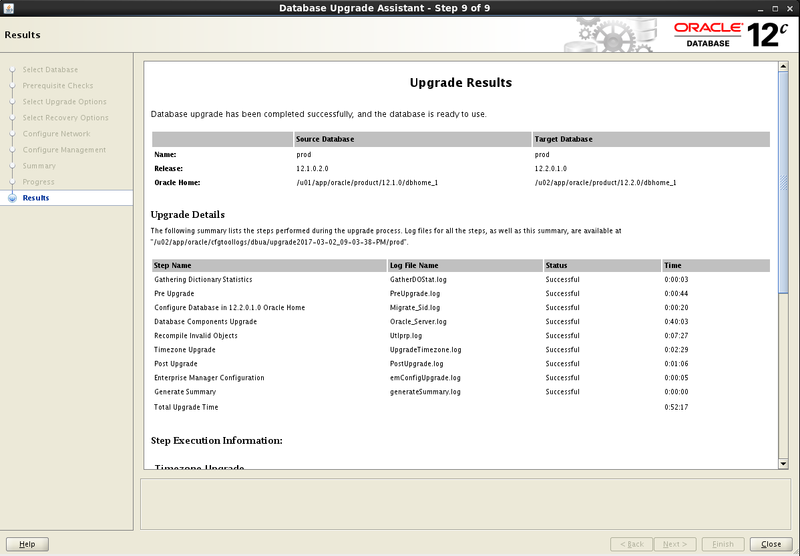 The Parallel Upgrade command line utility catctl.pl has a number of changes and enhancements as compared to 12c Release 1 and I will discuss that in a later post. 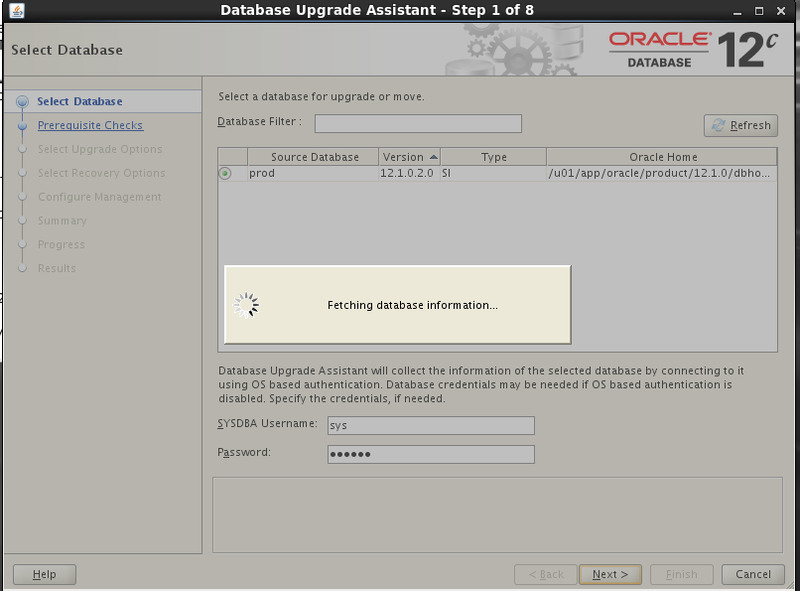 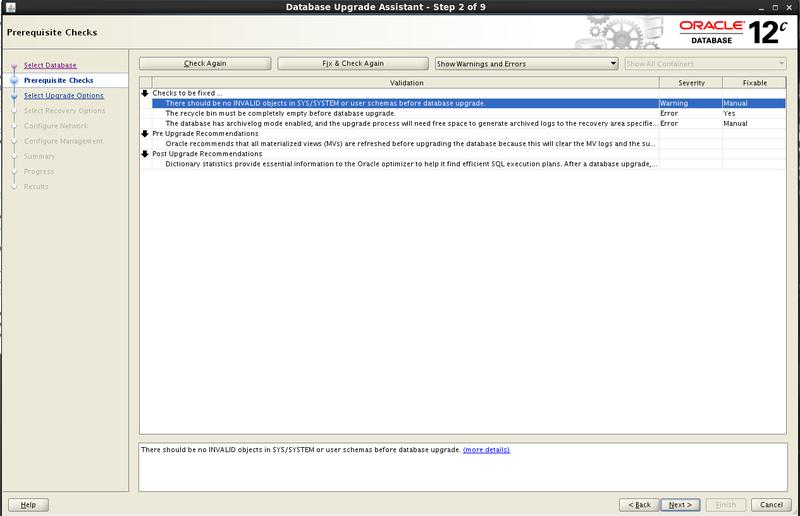 Here are the screen shots of the database upgrade process. 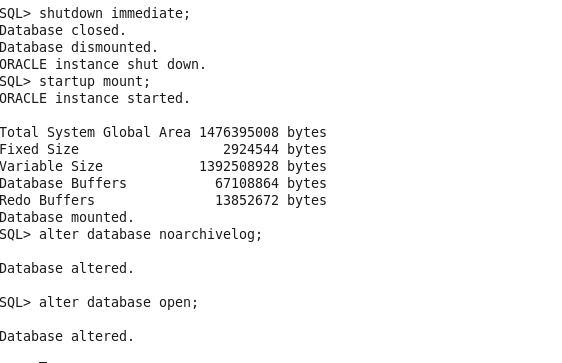 Note – I only converted my database to NOARCHIVELOG mode because I did not have the recommended free space in the FRA. 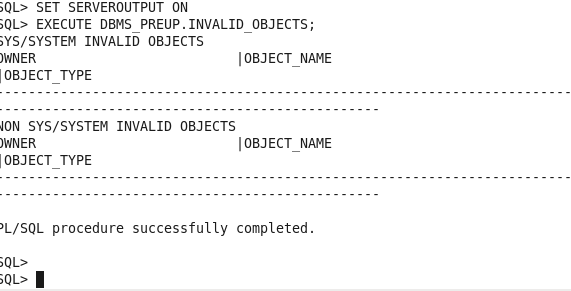 Don’t do this in production because ideally you would want to either take a backup of archivelogs or last incremental level 1 backup or set a Guaranteed Restore Point so as to be able to Flashback the database if required. 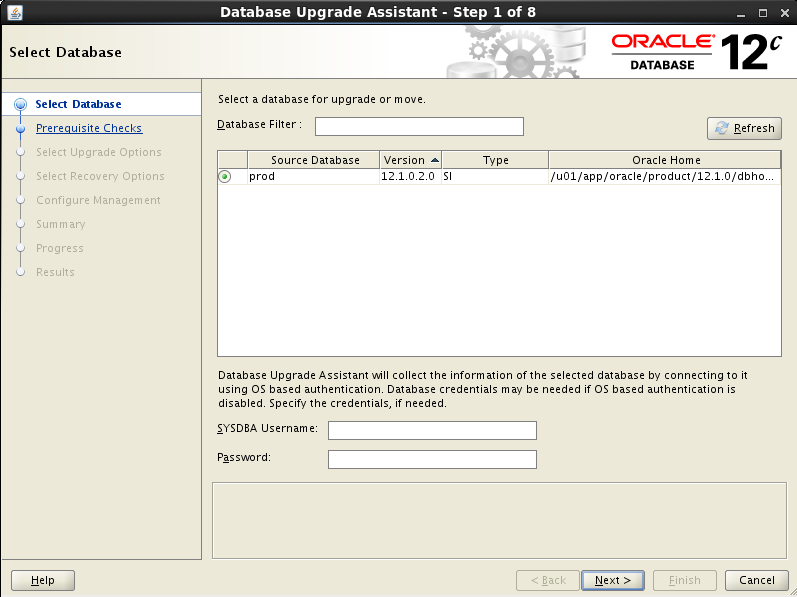 But I did see that the redo generated by the upgrade process seems to far more than that in case of earlier version upgrades. 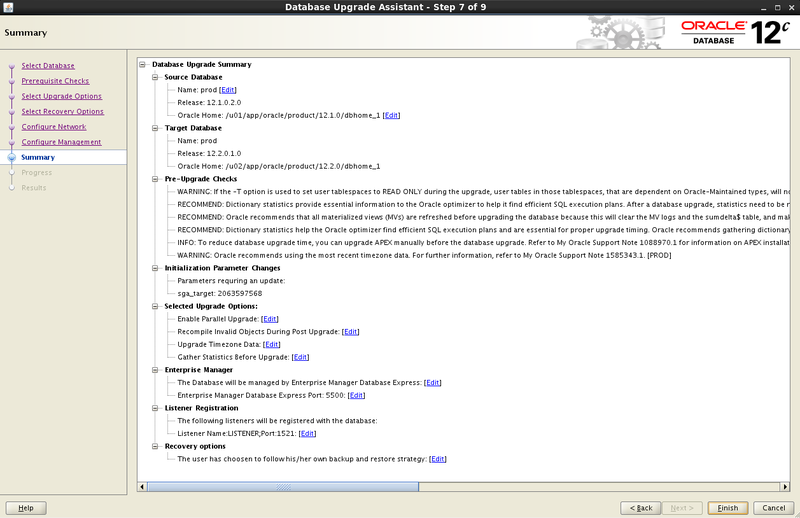 Even the DBUA recommendation was to double the Fast Recovery Area space allocation.